First ever colored replacement Kendama strings available now from Kendama USA. Same high quality string material in 10 fresh color styles to customize your dama setup. The ends are stiffened to make re-stringing a breeze, and 10 beads are also included. Add some flavor to your Kendama today. 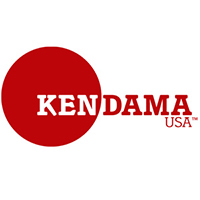 Kendama USA. Only the finest!!! Kundenbewertungen für "Color String and Bead 10 Pack - Assorted Colors"